No Reason To Get Excited, Dylan Says: PBS Has The Wrong Guitar : The Two-Way History Detectives thinks it has found the guitar Bob Dylan played when he famously (or infamously?) "went electric" at the Newport Folk Festival in 1965. But Dylan says otherwise. History Detectives' Elyse Luray (left) and Wes Cowan (right), with Dawn Peterson and the guitar Bob Dylan may or may not have played in '65. Peterson says her father came into possession of the famous instrument. The sleuths at PBS' History Detectives show think they've had their hands on the guitar Bob Dylan played when he famously (or infamously?) "went electric" at the Newport Folk Festival in 1965. Dylan, though, says otherwise. According to his lawyer, The Associated Press reports, the singer-songwriter says he still has the Fender Stratocaster he played on stage that day. The story doesn't end there, though. The guitar that History Detectives is going to report about on Tuesday reportedly was left on a plane Dylan sometimes flew on between gigs back in the '60s (though Dylan remembers driving, not flying, to the '65 festival). The pilot, Victor Quinto, is long dead. It's his now-adult daughter, Dawn Peterson, who brought the instrument to History Detectives' attention. Bob Dylan in April 1965, just as he was going electric. 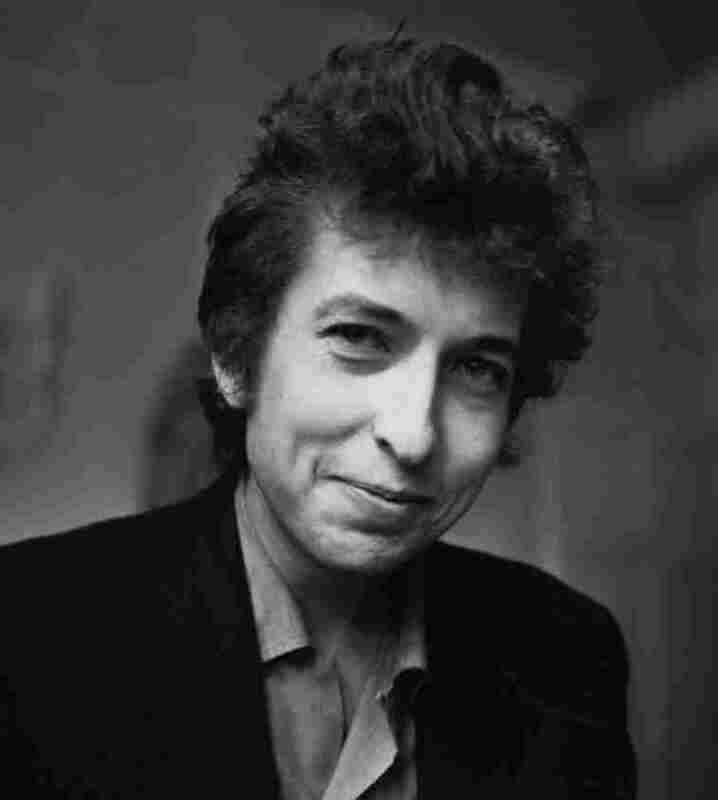 The AP says that "a sheaf of papers with handwritten song lyrics was in the guitar case and PBS took them to an expert, Jeff Gold, who said the handwriting matched Dylan's. The fragmentary lyrics later appeared, in part, on songs that Dylan recorded but rejected for his 1966 Blonde on Blonde album." 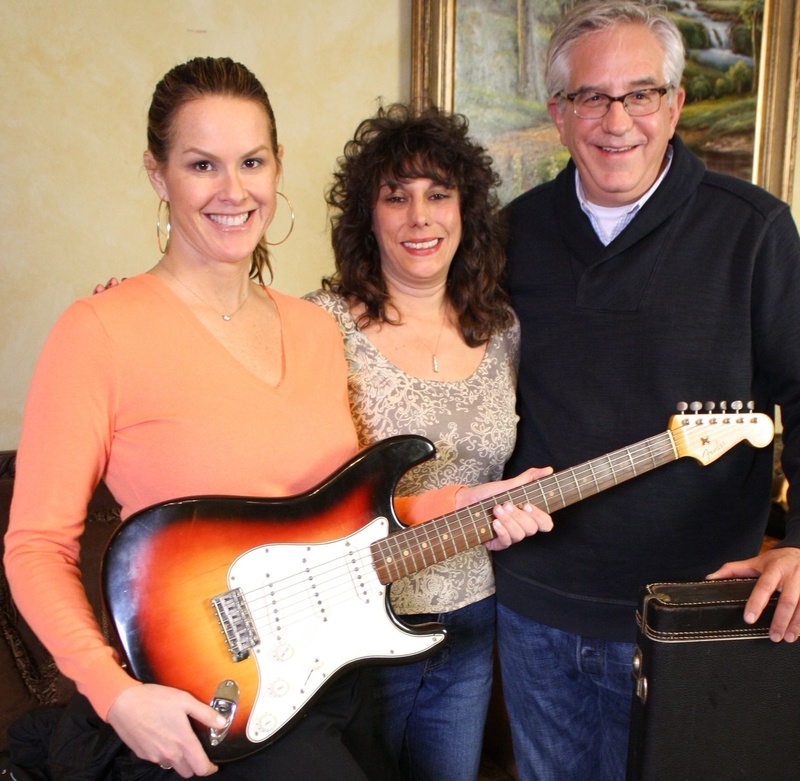 An appraiser took the guitar apart and found a manufacturing date inside — 1964. Photos from the show at the festival show Dylan using a guitar with wood grain that seems to match the one that's now turned up. And though Dylan has said through his lawyer that he's got the guitar he played at the festival, the question of ownership is still a bit tangled up (in blue?). According to the AP, Peterson "said she had written to Dylan's lawyers in 2005 requesting that Dylan waive any claim to the guitar. Lawyers declined the request and said it should be returned but until this week, there had been no further contact." All this is about, of course, "possibly the most historic single instrument in rock 'n' roll," as the AP says. And one that could be worth $500,000 or so, experts tell the wire service.